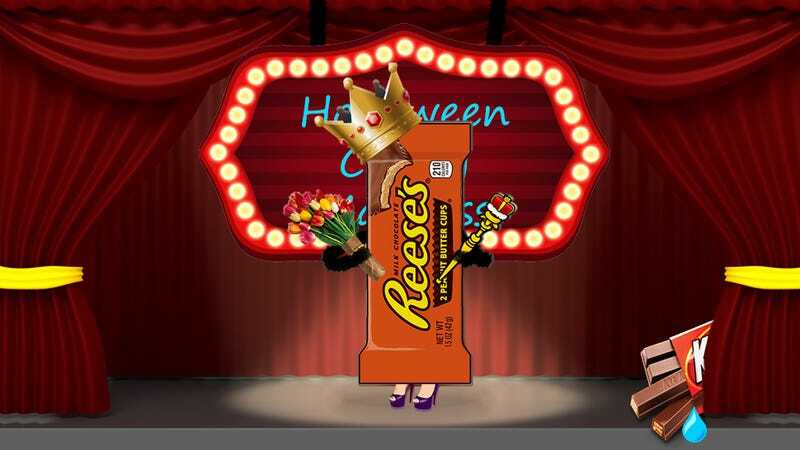 The post title and image kinda give it away, but the winner of the Halloween Candy Madness is Reese’s Peanut Butter Cups. I hope everyone had fun. It was certainly a spirited event. There was furious tweeting, heated commenting, and I think we narrowly avoided breaking out into Civil War. But we survived, and I think we’re all stronger for it. I hope everyone enjoys their Halloween. I’ve included the final poll so you can see just how thoroughly the peanut butter cups trounced the Kit-Kat bars. But that’s it. The next one of these will be in December when we decide once and for all which Christmas song is truly the worst of them all.